This article aims to answer a common question from new parents: Why won't my newborn sleep in their crib? Letting your baby sleep alone might seem like something challenging, and it truly is a serious step to take. However, if done right, the transitional process could be seamless and effortless without all the commonly associated hassle. You don’t have to go through weeks of constant crying and moodiness. If you manage to do the right things, you could get newborn used to this new environment easily. Understanding how to get your baby to sleep in a crib would definitely make your life a lot easier. It’s not effortless, but it’s definitely not as challenging as relying on the little one to get used to it on his own. That’s why we’ve taken the liberty of going through a few necessary steps and things to account for. First, let's take a look at the common questions below. When Should My Baby Start Sleeping In a Crib? This is a common question, but it’s also the one which doesn’t have a straight answer. It would pretty much depend on how old your baby is as well as how comfortable you are with him sleeping separately. The truth is that parents have hard times the first few nights, even if the baby sleeps well and he’s not bothered by the drastic change. It would be a good idea to put his or her crib in your room for the first few weeks. This will get you used to the infant's breathing noises, hunger signals, and sleeping patterns. This period usually takes about a year. Keep in mind that there is certain research which shows that babies have a significantly lower risk of developing SIDS when they sleep on a firm mattress on their back in the same room with their parents. Some parents, however, are comfortable with moving the crib in a separate bedroom only after a few months. This could also be a solution if the baby’s sleeping patterns allow it and there’s nothing to be worried about. However, you should use a monitor to make sure that everything is closely observed. Why Does My Baby Cry When I Put Them In? The truth is that there are quite a few different reasons for which your newborn might actually cry as soon as you put him or her in the crib. Let’s have a look at some of them. Starting off, you should know that the kid is just not used to it. Your little one is likely to have slept in your bed for months, and that’s what he or she is comfortable with. Their new environment, regardless of whether the crib is in the same room or not, might seem like a stressful place. It might make their tummy hurt. Now, it’s important to note that this is not always an issue, but some babies have certain food allergies which might actually make it rather impossible to spend time on their backs. If you try to get your infant to sleep in the crib and he or she experiences this chronic heartburn, this is definitely going to result in a lot of crying. The other reason could be you. You might be the one who has taught the infant to hate the crib. It goes without saying that most parents would punish their kids by putting them in the crib as soon as they fail to behave. This creates a sudden association, and this could easily be the reason your infant cries as soon as you put them in. Who’s to blame, though? As you can see, there are a few different reasons for which the crib could be a dreadful place for your newborn. It’s hard to overcome those issues, but it’s not impossible. Why does My Newborn Only Sleep When Held? Now, the easy answer to this question is because your child is used to it. But that’s not the only thing to consider – you are also used to it. A lot of parents wouldn’t feel comfortable with their babies falling asleep anywhere else but on their arms. The easiest thing to do if your newborn cries when you let him or her down is to wait it out. He or she will stop crying as soon as you go to their rescue to make them feel loved and secure. This is not something that would come across as a “lesson” learned but more as an adaptation to the conditions as they are always going to be. So, to elaborate, as soon as you are ready to wait for your newborn to cry out when you lay him down to sleep in the crib, he or she will become a lot more ready to sleep there. This is something important. The baby will adjust quicker than you can imagine but it’s important to understand that you also have to do your part. Is it Safe to Stop Cosleeping? There’s nothing that you should be worried about. 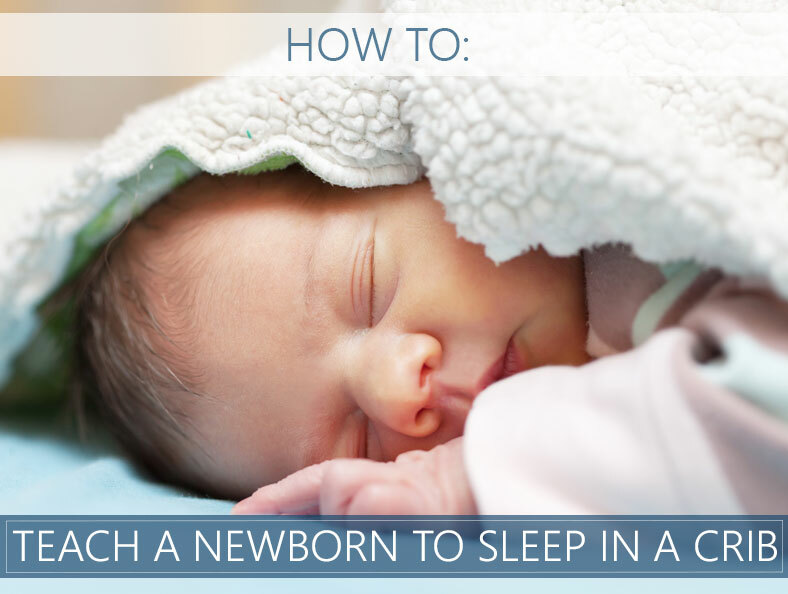 The most important thing that you’d have to consider if you want to enable your newborn to start sleeping on its own, however, is how comfortable he and you are. It would be easier to sleep with your kid until you’ve gotten used to all of his sleeping patterns and to slowly transition to the crib. Usually, it is best for the kid to sleep in the crib in your bedroom for about a year. After that, as he gets used to that sleeping environment, you could introduce him to the new world which would be his separate bedroom. Don’t forget to use any kind of monitoring device, however, as you have to be able to be constantly aware of what’s going on. There is a serious reason for which people spend so much time on finding the right crib for their babies. It’s obviously because that’s where the baby would spend his blissful nights of sleep, right? Unfortunately, a lot of moms quickly find out that the same crib is used far more for screaming rather than for snoozing. This is something that you have to understand. For you to make sure that the little one gets used to it quickly and transitions from co-sleeping, you’d have to make him or her feel as nothing has actually changed. The thing about infants is that they comprehend the surrounding world in a very sensory fashion. Therefore, if you manage to replicate the warmth, coziness and the movements that your baby gets to experience while sleeping with you, there wouldn’t be any issues for you to worry. It’s important not to put a pillow, blanket or a lovey in the crib with your newborn child because this is going to increase the risk of suffocation. You can use a sleep sack. If the little one is still protesting, stand there for a few minutes and place your hand on her or his tummy to soothe. An easy transition would be one predicated on experiences which the baby is already used to. Let’s be honest, you are just as worried about letting the cutie sleep alone and you are likely to be more uncomfortable than he actually is. In order to get past this, it’s a good idea to start with a few quick and short naps every now and then or at least once a day. This would allow for a quicker and far smoother transition. As we mentioned above, when it comes to babies, you ought to understand that they perceive the world in a sensory manner. Therefore, if you want to make the sleep-in-crib transition a lot easier and far more accepted, you should create a routine that your kid relates to. It would enable him or her to anticipate the crib and it wouldn’t be something that brings stress. Make sure that the routine is fun and it transitions to bedtime. You can try giving 2 or 3 ounces of formula or natural breast milk before you put your child to sleep. If the baby is over six months, you could also bring 1 or 2 tbsp. of cereal in the meal. Make sure that you don’t overdo it as if the infant's tummy is full. It would likely cause him discomfort. The bath will naturally ease the kid into sleep. If your infant is an adventurer, though, the bath is only going to invigorate him. Therefore, you should do it a bit earlier in the day and not include it in the bedtime routine. The calmness of your voice is something which could easily get your kid into a sleep state. Make sure to choose a book that’s specifically for babies and read it in a very gentle and calm manner. Even though younger babies are unlikely to understand what you are actually reading, the soothing tone of your voice would likely help to put him to sleep. Getting your newborn to sleep in the crib shouldn’t be the daunting and feared task that a lot of mums go through. These steps are highly likely to make it a lot easier for you to transition to this otherwise challenging event. Make sure that everything is handled in a gradual manner – one which is going to make the baby comfortable. Adjusting the new sleeping environment to the sleeping patterns is also something absolutely critical. Brooklyn Bedding (Signature) Review For 2019 - Is It Worth Your Money?